On the occasion of the Action Day for Human Rights Online on the 10th December 2016 the No Hate Speech Movement is inviting youth workers, teachers, youth leaders and all other supporters to organise local events for students and young people. For this the Movement provides the following guidelines as recommendations. We recommend the organisation of peaceful and respectful activities in schools, public places for and with young people about human rights and hate speech. The purpose of such an event shall be to raise awareness about the 10th of December as the international Human Rights Day, to empower young people and to advocate for Human Rights and to combat hate speech. Try to involve young people and organise the event together with them. 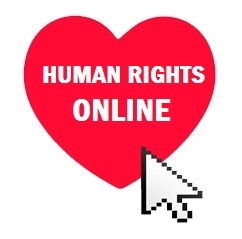 The content of the offline action can be based on any of these Council of Europe documents: Guidelines Protecting Human Rights on the Internet, Guidelines for Internet Users on the Movement website and the leaflet Your Digital Rights in Brief. Promote Human Rights and solidarity building on the UN slogan ‘Stand up for Someone’s Rights Today! Write on a piece of paper ‘I stand up for ‘fill in name of person or group’ Rights Today!take a selfie or a group photo and share it on social media. Take a photo with a No Hate sign (sticker, postcard, balloon, T-shirt etc) in front of an institution, political party, website etc. that work against hate speech and speak up for Human Rights or a place where you wish hate speech would not be tolerated, and share it on social media. Invite your group to upload their selfie to the No Hate Chain to Stand for Human Rights online!